Discussion in 'Design and Graphics' started by Messy, Jul 2, 2011. 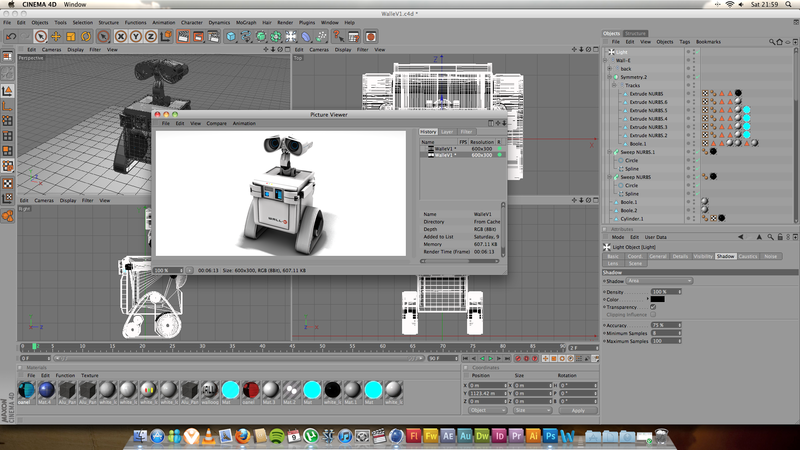 C4D 11.5 & Adobe CS5 Suite. 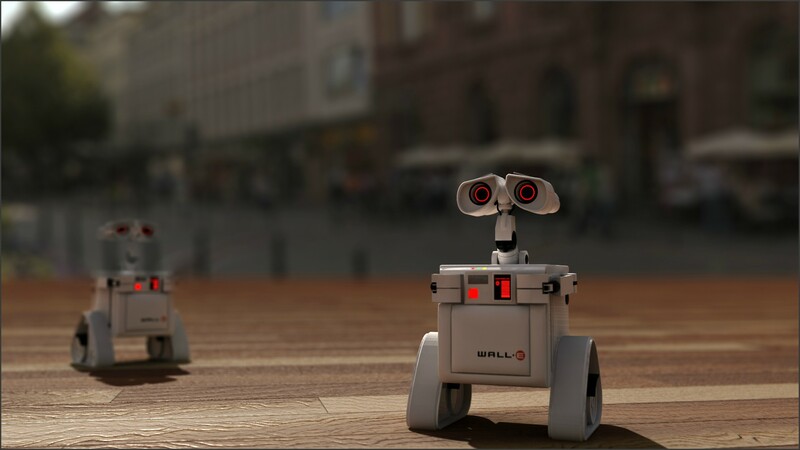 Wondered what Wall-e if he had a child with eVe (the Apple designed robot in the film). Not finished yet, but my head is hurting so heres the latest verson! Played around with some scene files and depth of field. That second hi-res shot is fantastic. Good work! STUNNNINNG! That is amazing work! Do you happen to be a reddior? So the floor in this picture is CGI and not real? WOW! It's all done in Cinema 4D, none of it is 'real'. Suppose I should take this as a compliment. My friend, how do you do that? 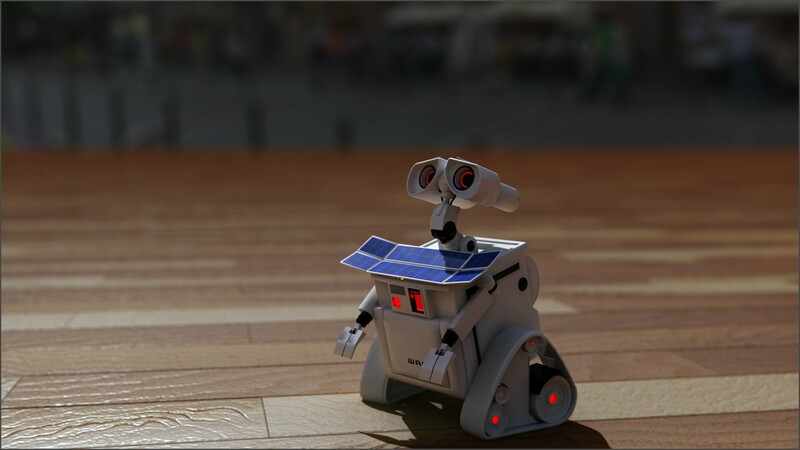 I am working in C4D 11.5 as well in a project as we speak and I would love to have a floor like that and the render texture. I know the deph of field but I would like to know your technique and light settings. Are you suing V ray? How did you get that scene? I am building a logo and I need an stage for that logo and I wnat to have the best image as possible. If you didn't say that it was made in Cinema 4D I wouldn't have found out that it is not real(I am not experienced though). Thanks Im not so great with realistic modelling/scenes so im glad you liked the render. 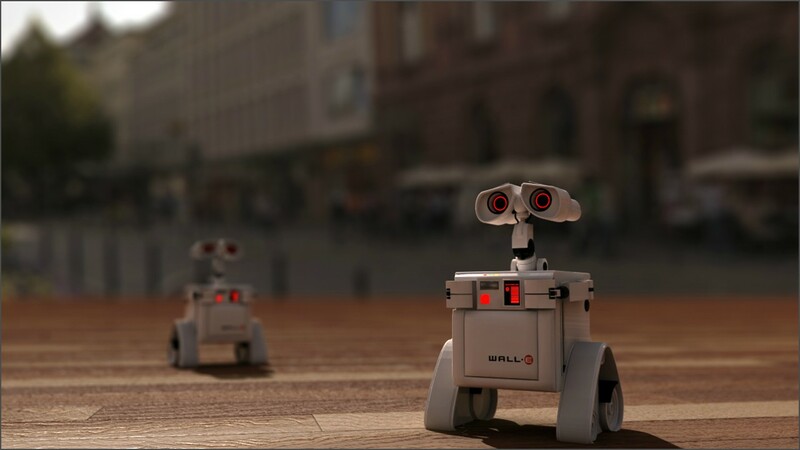 A mix of global illumination, depth of field, lighting and glow produced that scene. The floor texture has a light bump and small reflection on it to help with the realism. That looks great! I love all of the little glowing pieces! You have lots of talent! I would say it's definitely got the easiest learning curve. When I had a PC, i tried most major modelling packages and found C4D a good compromise between all options, i've learnt everything i know today from just playing around and finding out myself what things do. There is some great tutorials on the internet to show you the basic functions. I think the main thing is having the imagination, you can learn a program inside out, know how to use it 'technically' but if you dont have the imagination to create things you won't get far. Thats my opinion, it might not be right, my excuse is that its 5:50am and i've not left yet. Loving it, keep making more!! Absolutely stunning, don't want to detract from that... just wondering where the red for the eyes/charge lights came from... would it not be better to be blue to match the mother's eyes, as can't think of my Red lighting on Wall-e.
Edit: After seeing, and nearly crying due to the cuteness, my wife thinks maybe the red lighting is a recessive gene. I did think of blue, but didn't want to copy eVe's lights altogether, you are right though, maybe he'd look better with his mothers eyes? Maybe i'll try it out. Thanks everyone else for the comments, if anyone has any idea of other stuff they'd like modelled let me know, i like doing this sort of thing, but get very bored very quickly of projects so need something interesting to keep me occupied. An Apple inspired sports car? Hmm interesting -although im not great with cars, prefer to model scifi type stuff, spaceships, concept vehicles and such.